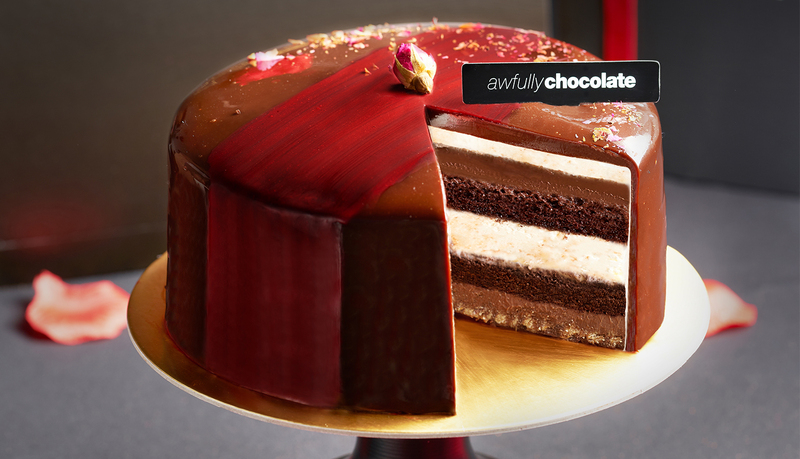 Express your love with Awfully Chocolate's Dark Chocolate Rose Cake ($48). It's velvety and indulgent, perfect as a sophisticated gift to a special someone. The lightly infused rose essence in the chocolate ganache is a luxurious cake, and is handcrafted with premium ingredients specially for you. Available from 11 to 14 Feb (Pre-order at the store from 7 Feb onwards). Awfully Chocolate is located at North Wing, #B1-K1.